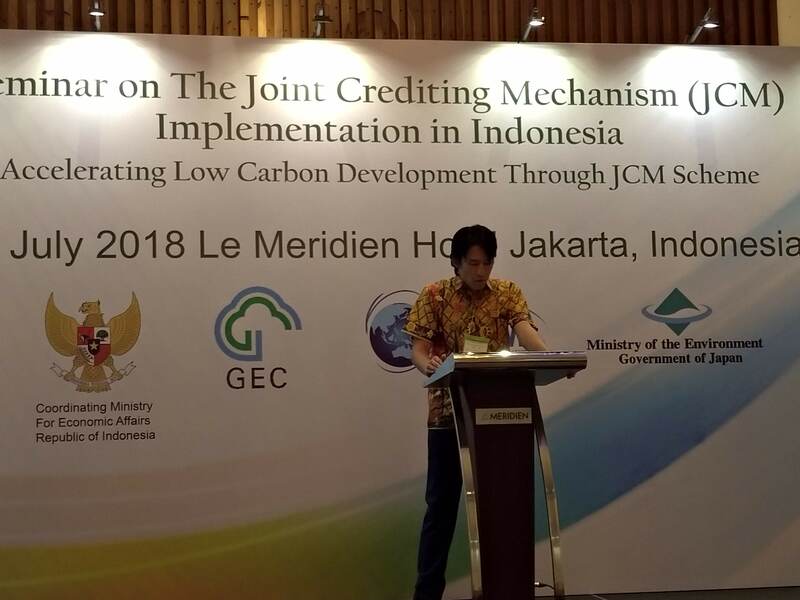 The Ministry of the Environment, Japan (MOEJ) and the Global Environment Centre Foundation in collaboration with the Coordinating Ministry of Economic Affairs and the JCM secretariat Indonesia jointly organized “Seminar on the Joint Crediting Mechanism (JCM) Implementation in Indonesia – Accelerating Low Carbon Development through JCM Scheme -” on 24 July 2018 in Jakarta, Indonesia. 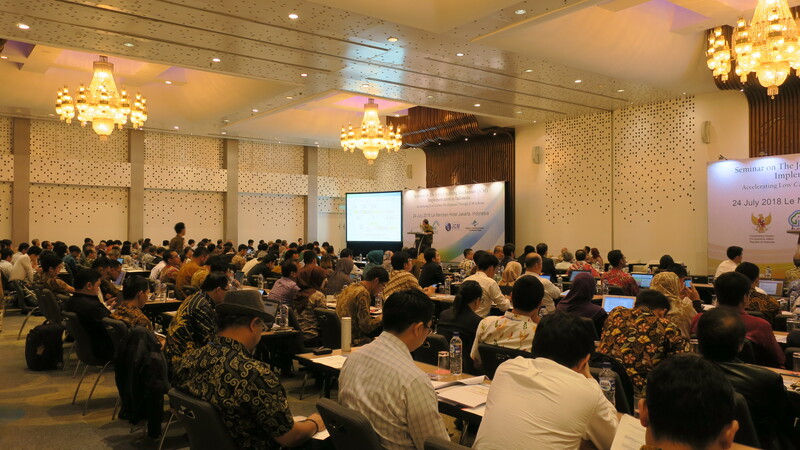 In this seminar, government officials and representatives of related organizations from both countries shared the progress of the Joint Crediting Mechanism (JCM), and Japan International Cooperation Agency (JICA) introduced the Private Sector Investment Finance. Furthermore, project participants of 7 JCM Model Projects, such as energy conservation in factories and commercial building and introduction of renewable energy, shared the progress and achievements of their projects, and Toyama City and consultants coordinating the JCM City-to-City Collaboration programs shared overview of their programs and future business opportunities. Throughout panel discussions and individual consultation, seminar participants actively exchanged opinions and information on recent issues in energy sector and JCM implementation in Indonesia. – Mr. Shim Hyungshik, AEON MALL Co., Ltd.
– Ms. Tamao Tada, Nippon Koei Co., Ltd.
– Ms. Aki Baba, Nippon Koei Co., Ltd.
– Mr. Masaru Ishikawa, Nippon Koei Co., Ltd.